A bicycle rally was taken out in Dibrugarh town on Tuesday to create awareness against child labour, on the occasion of the World Day against Child Labour. Local MLA Prasanta Phukan and Dibrugarh Deputy Commissioner Laya Madduri flagged off the rally from the Chowkidinghee playground. 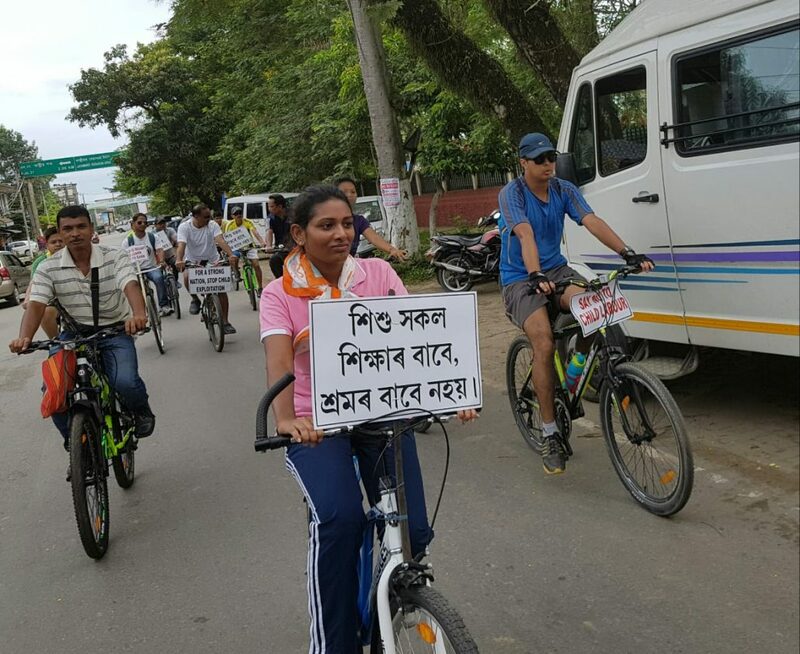 The cycle rally was jointly organized by Dibrugarh District Administration and Dibrugarh District Legal Services Authority in association with Dibrugarh District Sports Association and Dibrugarh Cycling Club to spread awareness about the ill effects of child labour on the society. Interacting with the participants, Madduri said that it was essential to spread the anti-child labour message to make Dibrugarh a child labour-free district and citizens need to be proactive if the menace of child labour has to end. She added that more activities would be promoted for awareness among the public. The Deputy Commissioner along with the cyclists participated in the rally from Chowkidinghee field to Amolapatty via Phoolbagan and back to the starting point covering a distance of nearly 5 km. Dibrugarh District Legal Services Authority Secretary, Imdad Ahmed, Child Welfare Committee Member Kiran Bora, ADC Subhon Gowala, Assistant commissioners, Dibakar Nath, Runav Ramchiary, Uday Sankar Dutta and Rashmi Pratap also participated in the event. On the other hand, students of various schools of the town also took out a procession on the occasion of the World Day against Child Labour.